The last and final season of America’s Next Top Model came to an end with Nyle DiMarco winning the contest over Lacey, Mamé, and Mikey. 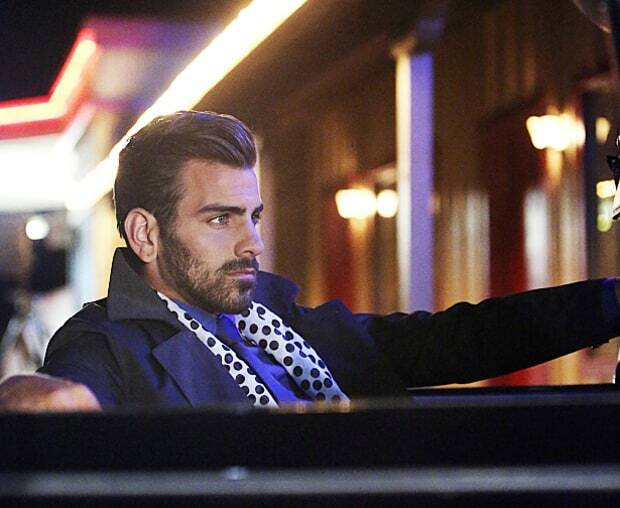 Nyle took home the coveted modeling contract and Nylon magazine spread. Nyle, 25, is the first and only deaf contestant on America’s Next Top Model and the second male to win the series following Keith Carlos, who won cycle 21. From the beginning of the cycle 22, the blue-eyed man became fans favourite for his killer abs, good looks and charming personality besides delivering an exceptionally good photo every week. Things didn’t come easy for him in the competitions. The judges and the other contestants were sceptical about him and due to his hearing issues, he seems to be left out most of the time. Anyone who has seen the episodes can vouch for it. But that didn’t deter him. It was, in fact, an added advantage for him since he could stay out of all the dramas and gossips. He could concentrate on his photo shoots. And he did deliver in every challenge. Nyle became fans favourite instantly. Throughout the competition, Nyle won two elimination challenges and only landing in the bottom two once. In the end, the one who is the strongest and the most hardworking person wins the competition. The winner takes it all. I am really happy and excited for Nyle since I am a fan of him. Though I couldn’t watch this season episodes regularly, whatever I had watched and seen, Nyle has been my favourite along with Mame in terms of his performances. Nyle is an inspiration and role model for people who wants to make it big irrespective of whatever profession they choose to be in. He turns his disadvantage into an advantage and opportunity. See, where he is now. One thing I learn from him is to never stop believing in yourself and never underestimate yourself. Just go out there and do your best. Being a fan of America’s Next Top Model, it’s hard to accept the show is finally coming to an end. I am really going to miss Tyra’s quotes like “Wanna be on Top”, “Congratulations. You’re still in the running to become America’s Next Top Model”, “I have two beautiful ladies standing before me, but I have only one photo in my hand and this photo represents the one of you that will still be in the running towards becoming America’s Next Top Model. I will only call one name and the girl that I do not call must immediately return to your loft/apartment/hotel here, pack her belongings and go home” etc.